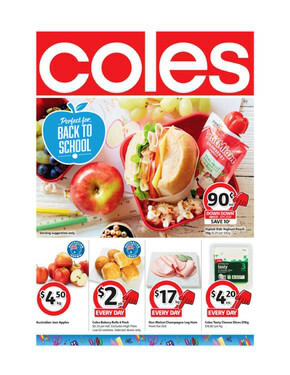 Shop Coles online weekly ads for all the best deals and catalogue specials on your favourite groceries, household items, health and beauty products, pet products, and more! Coles’ top-quality fresh fruit, vegetables, meat, and seafood means your family can enjoy fresher produce every day. 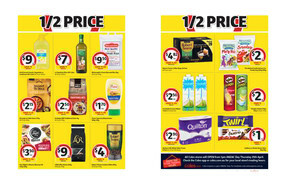 Whether you’re after low-cost pantry fillers or top-quality produce, Coles offers products for all tastes and budgets. Coles offers free delivery on your first online shop when you spend $100 or more. Simply order online when it suits you, select delivery or C&C (Click and Collect), and Coles will do the shopping for you. Other free delivery options include Flexi-Free Delivery, which offers you free delivery every day when you select an 8 hour time slot and spend $150 or more, and Click&Collect, which allows you to collect your groceries from any store of your choice free of charge. Add more taste to your shop by adding great recipes straight to your online trolley! Coles has partnered with taste.com and you can now shop from over 40,000 recipes. Weekly meal planning has never been easier! Get on-the-spot information about Coles’ opening hours, flyers, and deals at Shopfully website and app.